Most of us have probably heard horror stories of parental alienation. One parent deliberately targeting and sabotaging the other parent’s relationship with their child after a divorce. Either just to make themselves look good or exert some kind of control over their ex-spouse. The pain of such heinous actions can cut very deep. And the lost relationship with a child can be utterly heartbreaking. If you’re recently divorced, this kind of scenario can be deeply concerning. Of course, only a small percentage of divorced parents would take such a deliberately malicious approach to hurt their ex. But could it happen to you anyway? Could you unintentionally be alienating your child from their other parent? After all, co-parenting is full of challenges. Parental alienation is one of them. 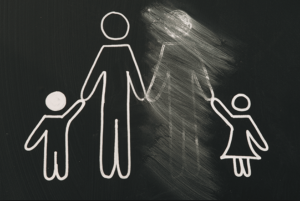 As a loving parent, how can you avoid causing—even inadvertently—parental alienation between your child and their other parent? No matter what your ex did, keeping a positive attitude toward co-parenting goes a long way to help your child continue to have a positive relationship with their other parent. And if your child shows a negative attitude toward their parent, find out what the problem is. Ask them what happened, listen compassionately, and respond without taking sides. The goal should be to help mend the rift, not make it worse. Pressuring a child to choose between their parents is promoting competition and discord. That’s the last thing you would want to do. A child who is forced to love one parent less than the other can develop deep emotional wounds and guilt. Make clear to your child that just because they love you, it doesn’t mean they love their other parent less, or vice versa. It’s perfectly alright that they love both of you in different ways. It may be tempting to share details of the conflict between you and your ex-spouse with your child. But your child is a child. They’re not an adult, nor your best friend or a confidant. You should not burden them with all the nitty-gritty issues that led to your divorce. Those are things you will have to manage in other, more healthier, ways. While you most likely have a long list of complaints about your ex-spouse, there’s no need to let those wounds cause you to speak negatively of them nor their family. When you speak respectfully of your child’s other parent, you inspire respect in your child. And even if your ex was abusive and your child knows it, you can endeavor to learn how to talk about these things with your child from an experienced therapist. They say actions speak louder than words. And rightly so. Remember that saying when your ex-spouse is trying to alienate you from your own child. Furthermore, demonstrate your good and peaceful nature by not retaliating in kind. If your child confronts you with something their other parent has said about you, stay calm (especially if it’s a lie!). Answer any questions as truthfully as you can. But remember, being honest doesn’t mean you have the right to tell your child anything you want, no matter if it causes them pain. This isn’t about winning a battle with your ex. It’s about your relationship with your child! Alienating a child from a parent is not only painful, but it can cause irreversible, permanent damage, not only to their relationship with both parents. When a child loses the ability to give and accept love from one of their parents, it can cause damage to them—often low self-esteem, lack of trust, and depression. So, why go there? Instead reach out for support for you and for your child.